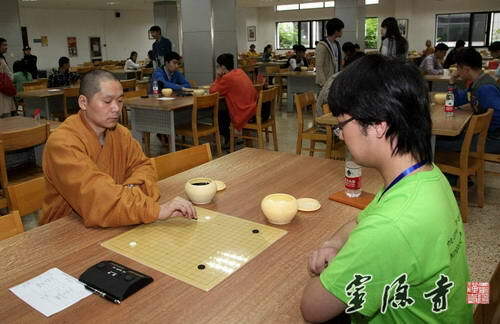 April 25th, 2014—The Go championship match for the first Annual Yunlin Cup was held at the beautiful Zhejiang Gongshang University. 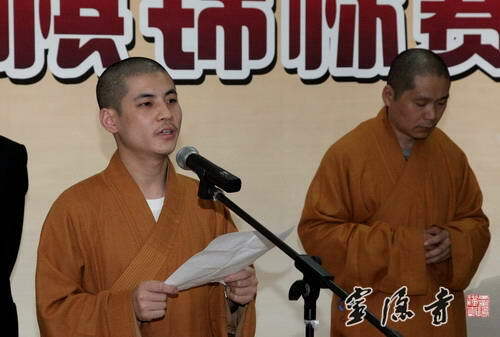 At the opening ceremony, Venerable Zhengqin gave a speech on behalf of the Hangzhou Buddhist Association chairperson, Abbot Guangquan of Lingyin Temple. 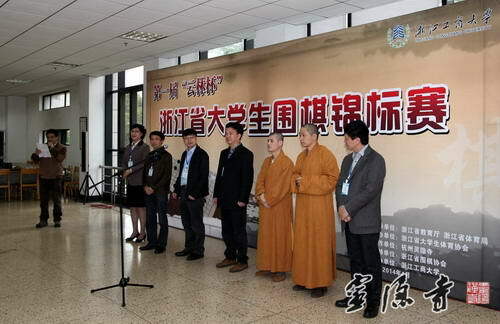 Vice President of Zhejiang Gongshang University, Professor Chen Shocan, delivered an address on behalf of the event’s organizers. 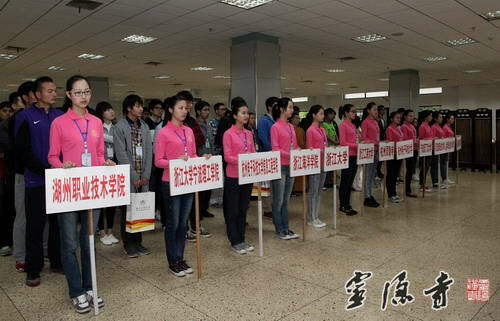 Go players from Zhejiang University, Zhejiang Gongshang University, Zhejiang Ocean University, Nottingham University in Ningbo, Hangzhou Dianzi University, Zhejiang College of Construction, Jiaxing Nanyang Vocational College, Jinhua Vocational College, as well as other colleges and universities, participated in the opening ceremony along with players from Lingyin Temple. 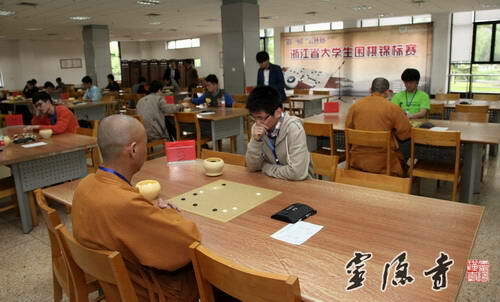 Today and tomorrow, they will play six games to determine the winner.